The total magnetism is approximately 45,000 Gauss maximum at standard length. Total magnetic strength or number of magnets varies by size. * Asterisks indicate the actual maximum core Gauss strength reading registered during testing conducted in-house on a random sampling basis for this particular model. 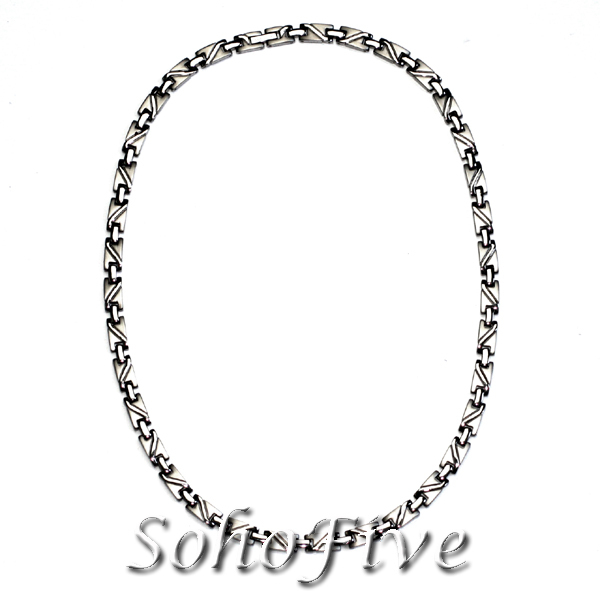 There may be differentials in strength from magnet to magnet and bracelet to bracelet. Maximum strength is not guaranteed. ** Now you have the option of having this elegant item with a new type of clasp called push-button spring clasp with two buttons on the sides. Only when both buttons are simultaneously pressed will the folding hook spring open. No more worry about breaking your finger nails trying to open a tight conventional jewelry clasp or losing your bracelet due to a clasp worn loose overtime. The conventional fold-over hook clasp also tends to get caught on fabrics and undo itself. Caution: Avoid letting this item come in contact with sharp or hard objects as the paint coating might be scratched off or chipped off.